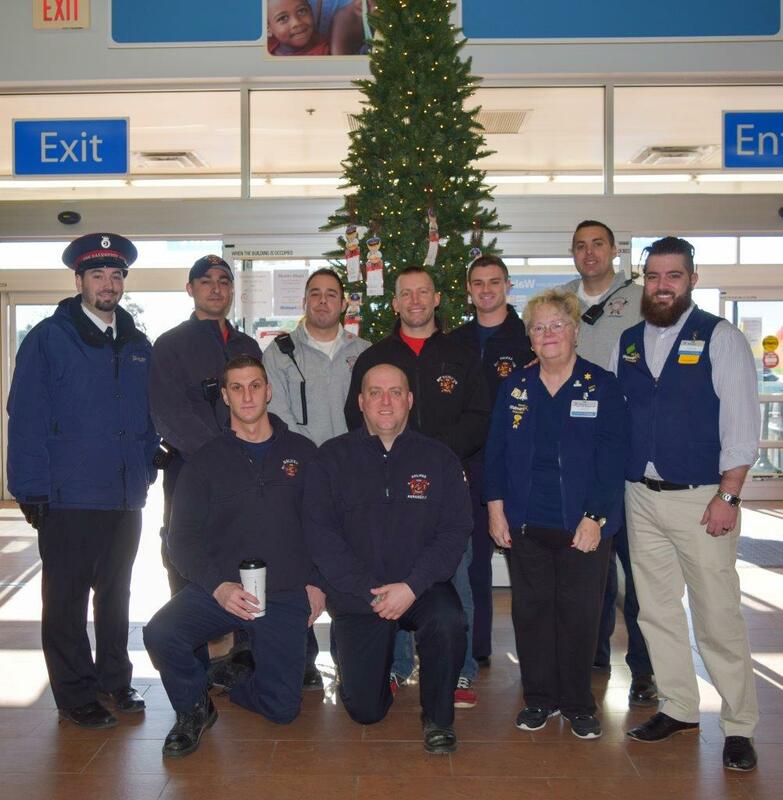 There were 250 gift wishes were granted through the “Giving Tree” at the Halifax WalMart store to help area families in need, according to Linda Wilson Community Coordinator and Risk Control Leader. Halifax firefighters Local 3159 joined the Salvation Army in presenting purchased gifted items after spending about an hour shopping in the store. There was toy testing, tossing and lots of laughter as ‘Santa’s helpers’ filled their carts. The Giving Tree tickets listed the age, gender and two ideas for items the child wanted most for Christmas. Firefighters later paid up three Halifax families’ lay-a way accounts and delivered them. Firefighters look forward to this annual event as just one more way to give back to the Halifax community. Santa’s elves took a few minutes off for a photo in front of the tree in WalMart’s entryway. Among those included here are Capt. Jeffrey Cuozzo, Capt. Matthew Cunningham and Lt. William Palma, Firefighter Rob Malone. From WalMart are Linda Wilson, Community Coordinator; and John Matthieu, store manager.